Diabetes is one of the most common conditions to affect Americans today. In 2012, 29.1 million Americans, or 9.3% of the population, had diabetes. Of this number, only 1.25 million were affected by type 1 diabetes (1). The condition occurs when the pancreas is either unable to use insulin or it cannot produce enough for the body’s needs. Some people may experience both phenomena at the same time. Diabetes doesn’t affect everyone in the same way. In fact, two are reversible : gestational diabetes, which only occurs during pregnancy, and type 2 diabetes, which can be reversed by losing fat in the pancreas. In contrast, Type 1 diabetes is a permanent autoimmune condition in which the body attracts the pancreas, leaving it unable to produce insulin (2). Left untreated, diabetes can cause diabetic neuropathy (a nerve disorder), ketoacidosis, kidney disease, high blood pressure, stroke, and gastroparesis (delayed gastric emptying) (4). The best way to manage diabetes is by controlling your diet, getting plenty of exercise, and effectively regulating blood sugar levels. This simple recipe can be beneficial in managing your condition naturally. Mango fruit has antidiabetic, antioxidant, antiviral, cardiotonic, hypotensive, anti-inflammatory properties (5). Its leaves and fruit contain mangiferin, an active compound that was found to lower blood glucose in diabetic rats (6). 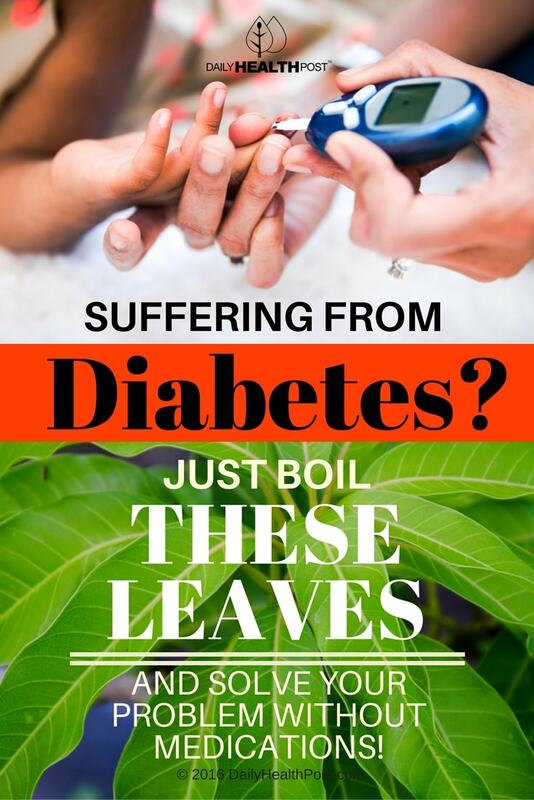 The leaves also has the ability to regulate insulin as well as reduce inflammation of the brain associated with the condition to prevent diabetes-induced Alzheimer’s disease and vascular dementia (7). Add leaves to a small saucepan of water and bring to a boil. Remove from heat and let the mixture sit overnight. Stain the mixture in the morning and drink it on an empty stomach. Make a new batch every evening and drink daily for at least 2-3 months. If you’re using dried ground leaves, take ½ a teaspoon twice a day, before meals. Soon enough, your condition should improve and it may even have positive effects on your weight and energy levels! Latest Headlines » Diabetes » Suffering From Diabetes? 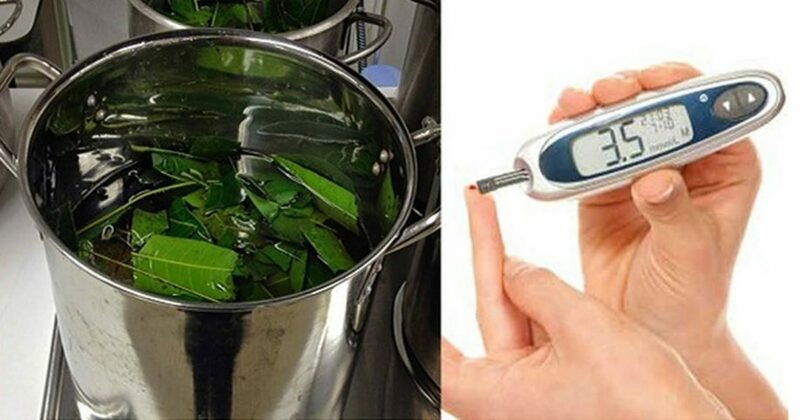 Just Boil These Leaves And Solve Your Problem Without Medications!